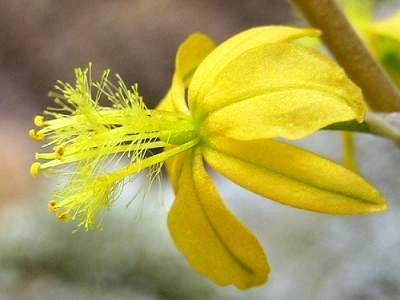 Synonyms: Anthericum frutescens Carl Linnaeus. 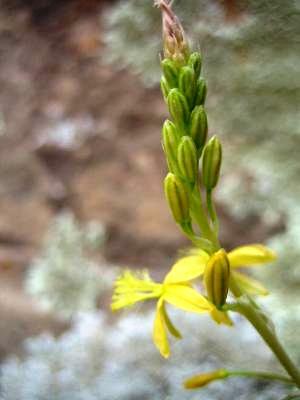 Bulbine caulescens Carl Linnaeus. Bulbine rostrata Carl Ludwig von Willdenow. This member of the Asphodelaceae family was given this name by Carl Ludwig von Willdenow. 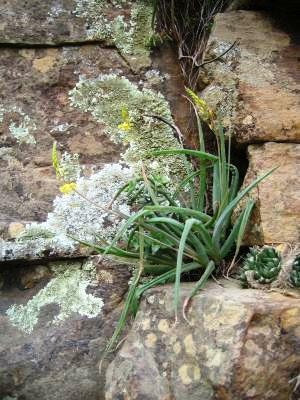 It is found in the costal areas of South Africa, growing in a well drained soil with some water and lots of sun. The bulb will grow up to two or three centimetres in diameter, the plant up to 30 centimetres height. The flowers are from yellow to orange. After having dug up, split, planted and handled many thousands of this plant I have to admit: It is not really a caudiciform! Sorry!